Skoda was betting big on its Fabia hatchback, the first premium hatchback in India. Though the Skoda Fabia did well in the initial few months, the Hyundai i20's launch pushed the Fabia to the sidelines. We were the first to introduce the concept of super hatch (in India) but as is the case always, the product which followed the Fabia (Hyundai i20) received a much better response. We are quite confident that the new Fabia will clock monthly sales of over 1,000 units. The Octavia was shelved because of the BS4 norms and Skoda is bearing the brunt of it. But not for long. Skoda India is planning an aggressive comeback and hoping to regaining its lost glory that it had during the days of the Octavia. Skoda would begin assembling the Yeti compact SUV in India by October 2010 and launch it simultaneously. Then the revamped Skoda Fabia would be launched. The revamped Fabia is also expected to come with revised competitive pricing. 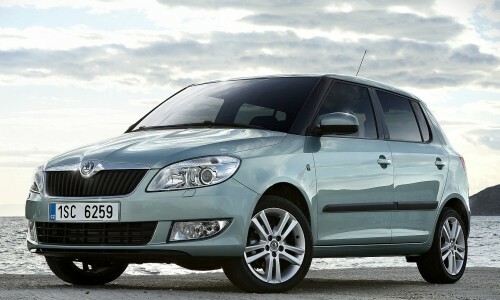 Skoda is also developing a small car that would be priced between 3.5 to 4 lakhs. The new car would be built at the Chakan plant in Pune. Then the Skoda Felicia which would fill in the Octavia's position would be launched. The Felicia would be based on the Skoda Fabia's platform.